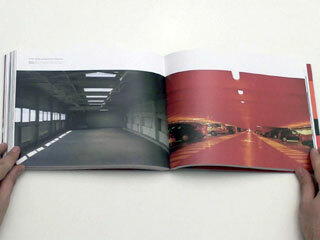 FL@33 photograph on front cover and inside Stefan G. Bucher's book The Graphic Eye: Photographs by International Graphic Designers. 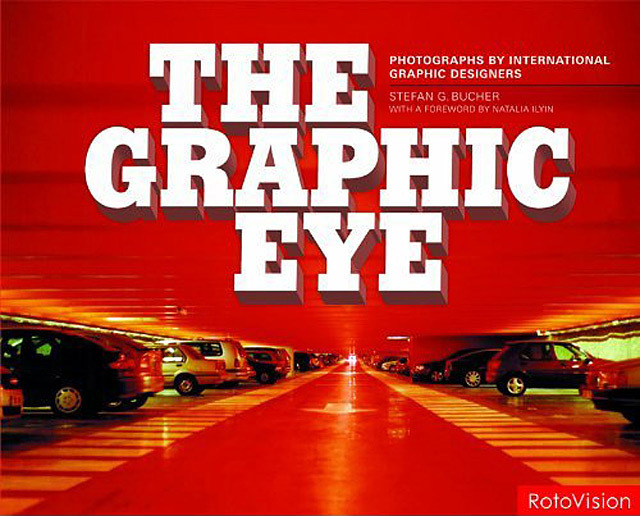 ___ The Graphic Eye features two FL@33 photographs from our vast collection of pictures we took over the years. 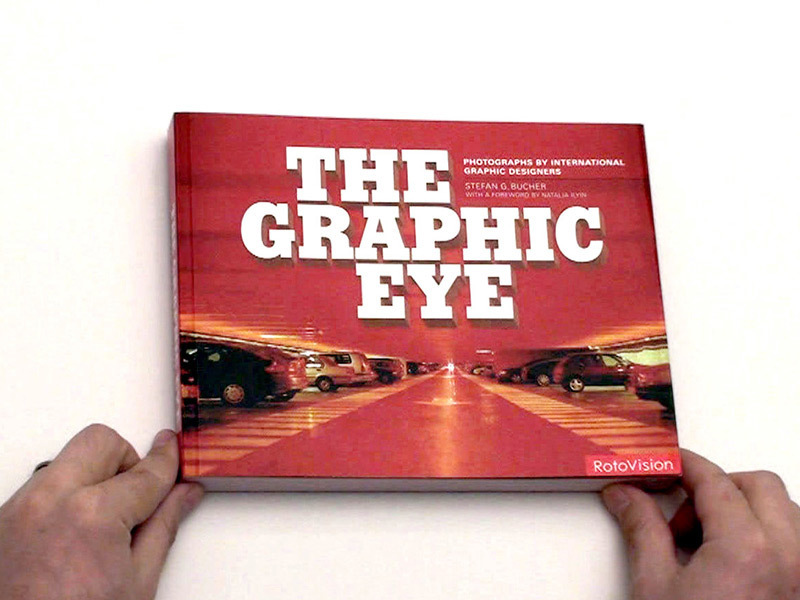 Book and cover were designed by Stefan G. Bucher – the book's author – who selected one of our photographs for the European front cover of RotoVision's paperback edition (while an American hardcover version was released by Chronicle with an alternative cover). 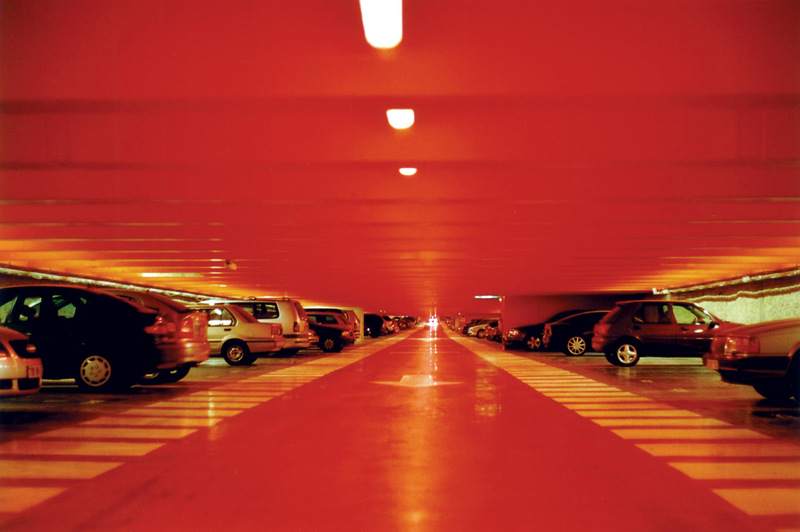 ___ The picture on the red cover was taken by us in a parking lot in the heart of Paris a few years ago – and yes – it really is that red in there. 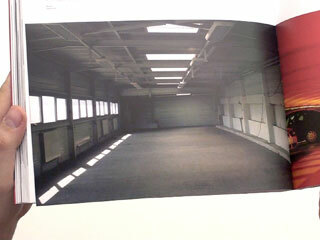 Our picture of the warehouse that is featured inside the book was also taken in Paris. 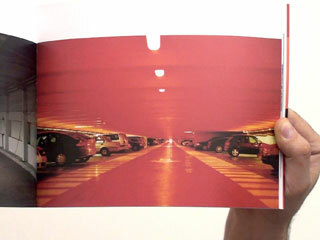 Both are from FL@33's ongoing Vanishing Point series. 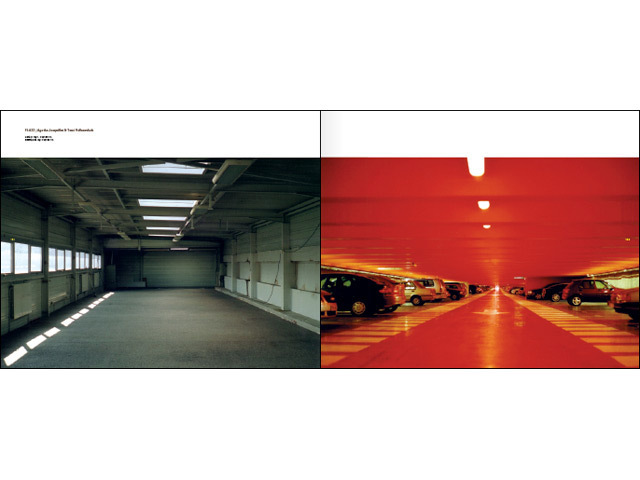 The picture showing the book cover on a big screen was taken by Michael Dooley (who is also featured inside the book). 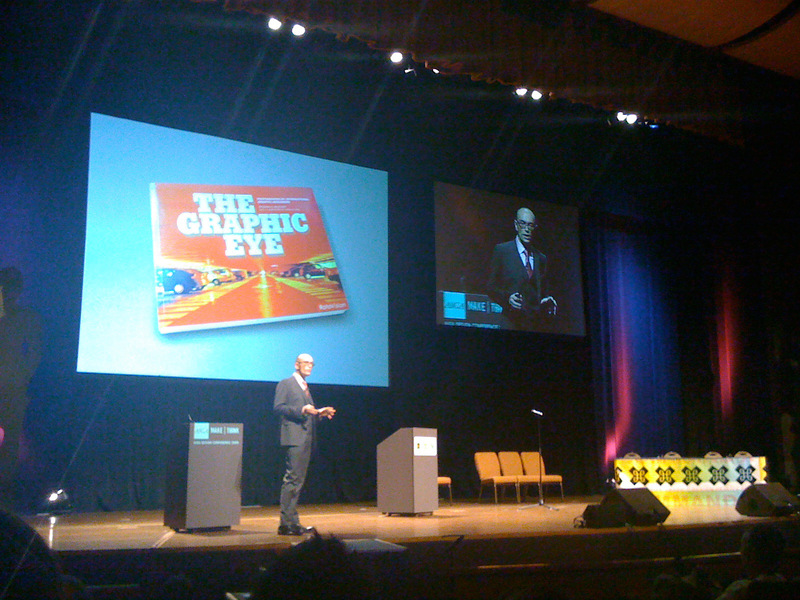 It was taken at the AIGA National Conference in Memphis, USA, on October 9th, 2009, when the book's author Stefan G. Bucher (shown on stage) gave a talk. 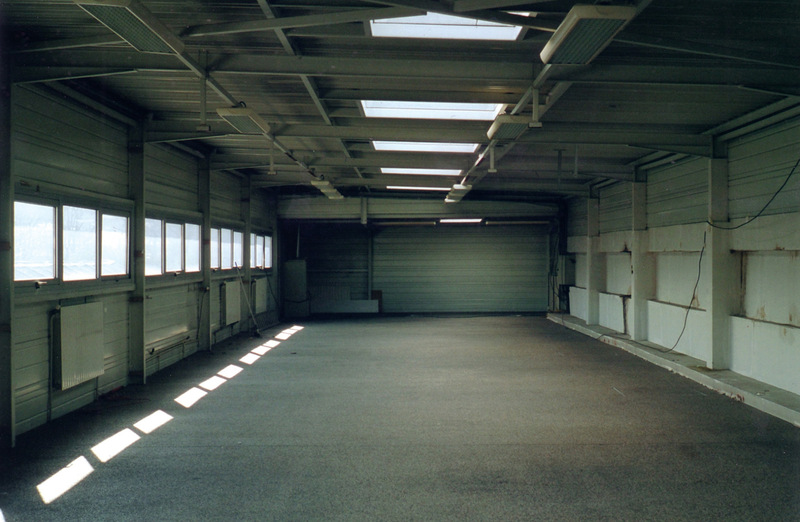 Picture shown here with kind permission of both.